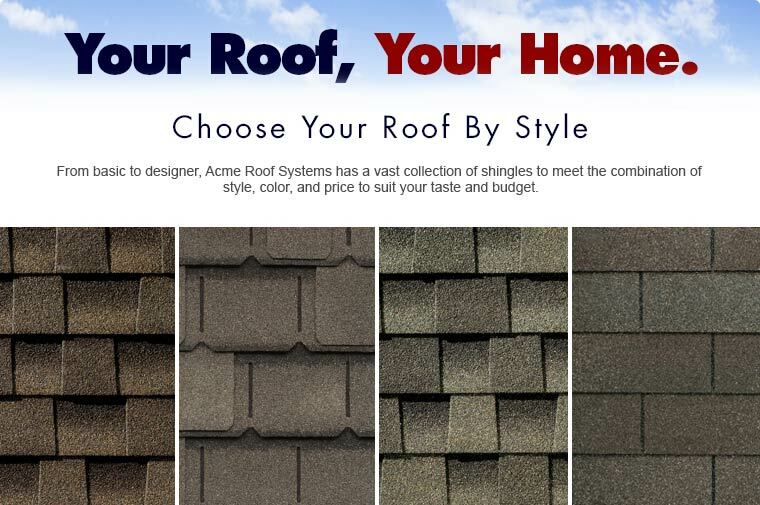 At Acme Roof Systems, we provide you with a wide range of top-quality shingles to choose from for your DFW home. Our top two selling products are GAF shingles and Owens Corning shingles. GAF manufactures durable, high-quality shingles that are available in a number of colors and designs. These shingles offer reliable performance and great quality that property owners can count on to protect their home for many years. Residential shingle options available from this manufacturer include Timberline Lifetime Roofing Shingles, Designer Lifetime Roofing Shingles, Impact-Resistant and Cool/Reflective Lifetime Shingles and Three-Tab Roofing Shingles. GAF Impact Resistant Shingles meet the highest ratings for impact resistance, which indicates that these products can withstand a greater amount of wear and tear, decreasing the risk of leaks in your home and giving you more durability from a hail impact. These shingles provide several other important benefits as well, including possible savings on your homeowner’s insurance, Advanced Protection Shingle Technology for greater protection from damage, StainGuard protection to prevent the growth of algae, and a Class F wind rating. This rating indicates that GAF Impact Resistant Shingles can withstand gusts as high as 130 miles per hour. GAF Lifetime Designer Shingles provide you with stylish yet affordable options that can enhance the look of your home. These designer shingles feature advanced protection that guarantees high performance and durability for many years. They also include StainGuard protection to ensure that they maintain a beautiful appearance over the years. These shingles are available in sophisticated designs that add a touch of luxury to your home without costing a fortune. GAF Lifetime Designer Shingles include Camelot Roofing Shingles, Grand Canyon Roofing Shingles, and Glenwood Roofing Shingles, which are all Ultra-Premium shingles. GAF also offers more cost-effective designer options, such as Sienna Roofing Shingles, Slateline Roofing Shingles, and Monaco Roofing Shingles. GAF Lifetime Designer Shingles come in a wide range of colors, including browns, reds, blues, greens, grays, blacks, beiges and golds. Owens Corning Shingles are available in different series, each of which includes its own design features, price range, and colors. The Duration Series shingles, which are Energy Star rated, offer wind resistance, algae resistance and SureNail technology that holds shingles in place securely. The Oakridge Series provides a TruDefinition color assortment to choose from. These multiple-granule colors are designed to bring out the best in your home in terms of appearance. Other shingle series by Owens Corning include Berkshire, Devonshire, and Supreme.